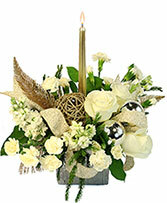 Remembrance and prayer are first and foremost when it comes to Hanukkah. 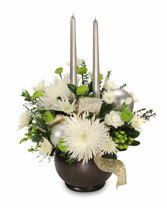 As family and friends gather to celebrate the Festival of Lights, don’t forget your Hanukkah decorations! 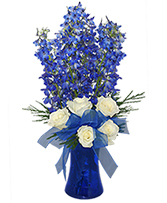 Beautiful white and blue blooms are the perfect way to enhance your home as your family celebrates the miracle of Hanukkah. 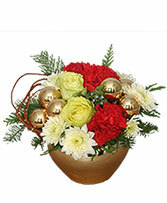 Flowers are also a good way to share the joy of holiday with friends. 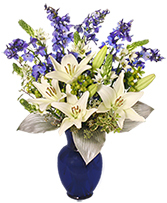 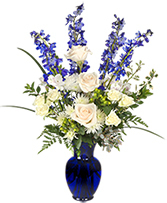 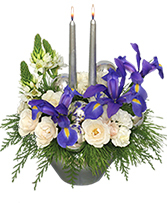 Let your local florist can help you choose an arrangement of Hanukkah flowers ideal for your celebration. 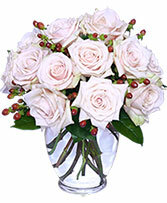 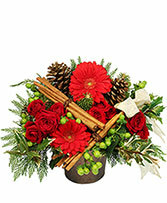 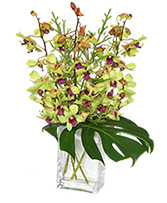 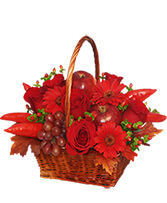 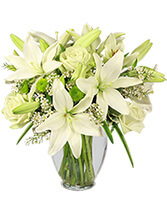 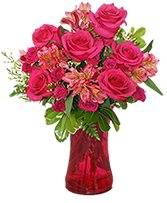 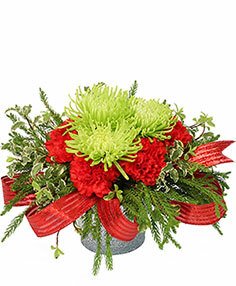 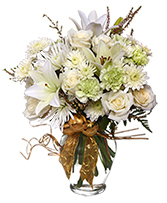 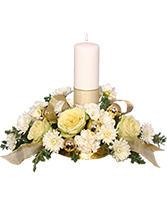 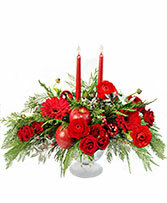 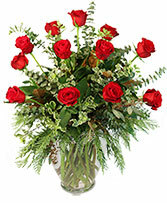 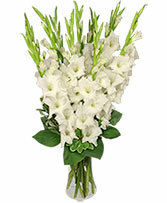 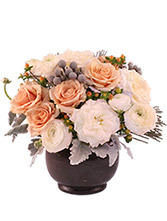 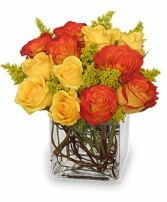 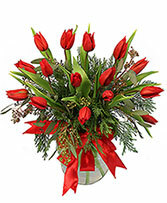 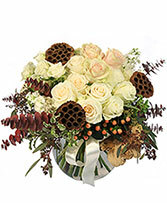 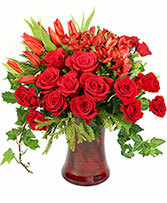 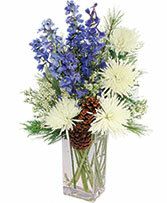 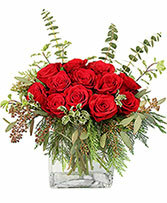 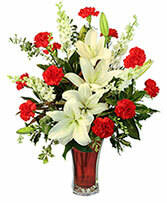 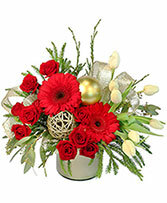 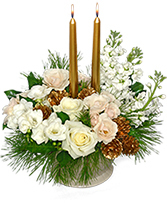 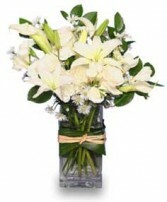 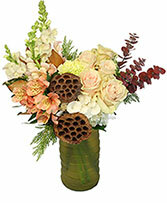 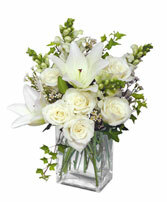 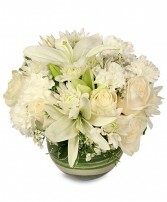 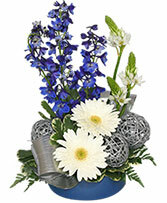 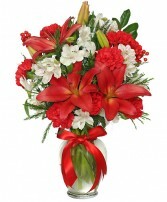 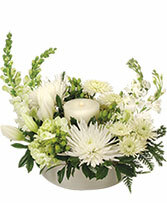 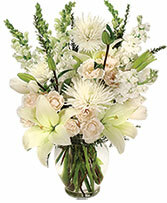 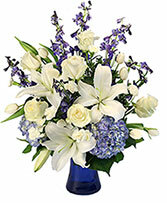 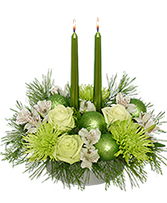 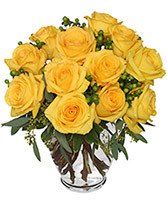 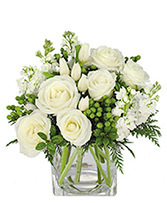 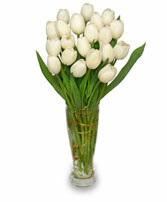 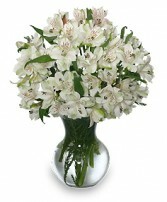 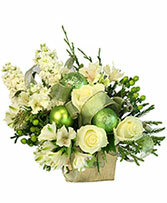 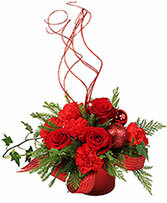 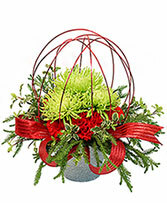 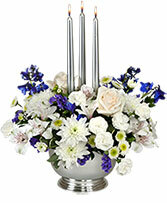 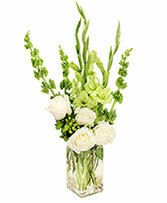 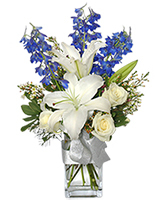 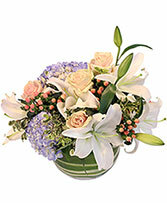 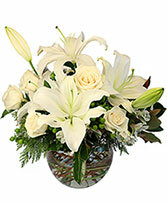 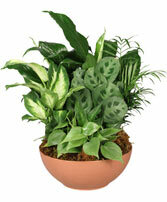 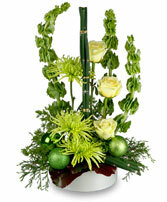 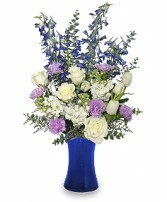 Imagine how festive one of the beautiful flower arrangements pictured below will look near the Menorah. 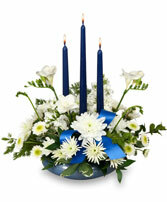 So grab your dreidel, it’s time to celebrate Hanukkah!